What are those juice bags? If you’ve ever been to Korea, live in Korea, or plan on visiting Korea, your eye has (or will eventually) fallen upon these bagged goodies. Usually sold by your local convenience store or corner store these bagged drinks can be a source of sweet rejuvenation if used right! AND! They’re pretty cheap at around 1,000 won-2,000 won a bag ($1-$2). 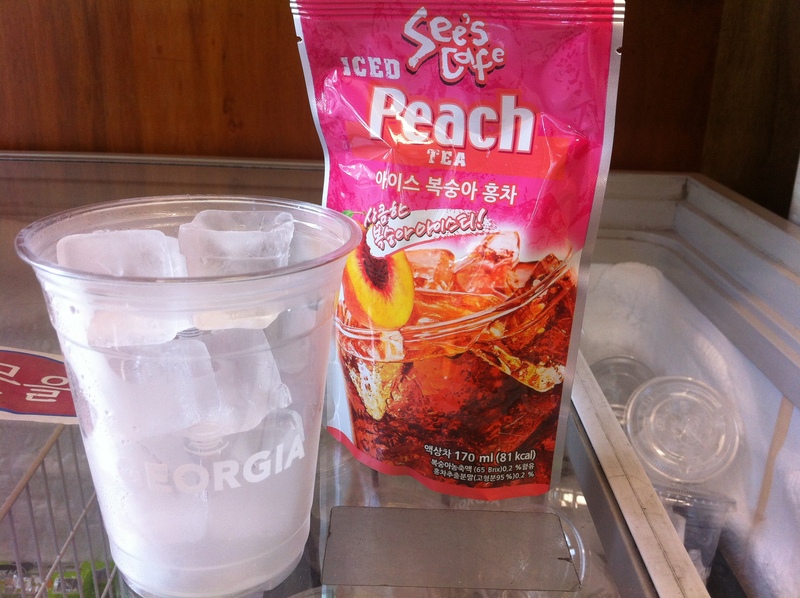 Now coming from the US, my first impression was that they were drinks in a bag, much like our boxed juices. Wrong! First, pick up your favorite juice or coffee and pay, then start looking around. Nearby there should be some plastic to-go cups (they may or may not already have ice in them). 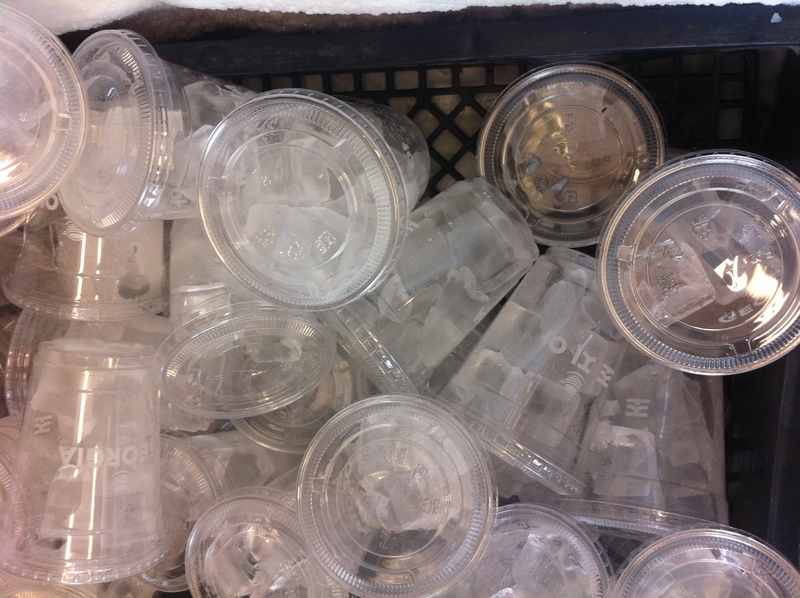 If they don’t have ice inside the cup already it’s probably self serve ice so….scoop away. I’m pretty sure you can guess what happens next. After you pour it in, get your straw and you are ready to go! And on this hot day DANG! 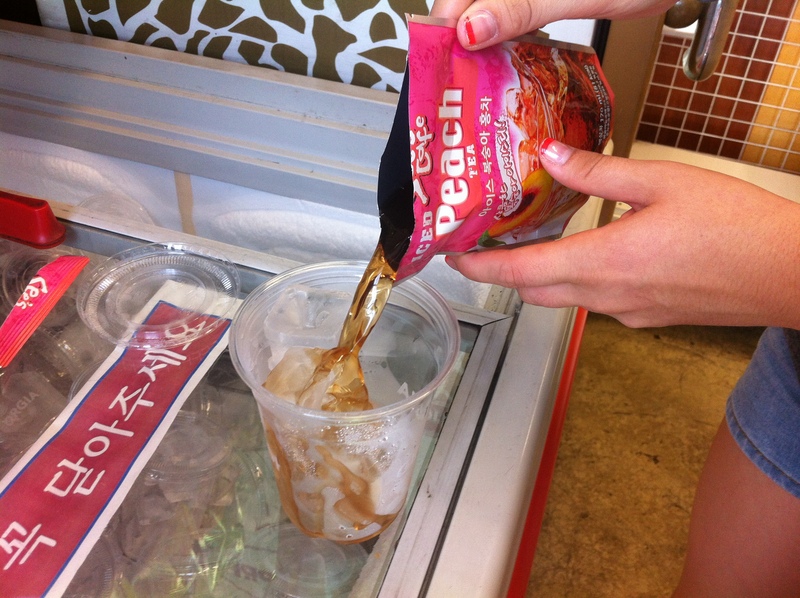 It was especially refreshing! 1 Comment on What are those juice bags?